Atop the Vindhyagiri hill stands Asia&apos;s tallest monolithic statue, and yet, you need to toil up 600-odd steps for a glimpse of it. Shravanabelagola as a Jain bastion is home to many basadis and is a vital stop to the pilgrim. 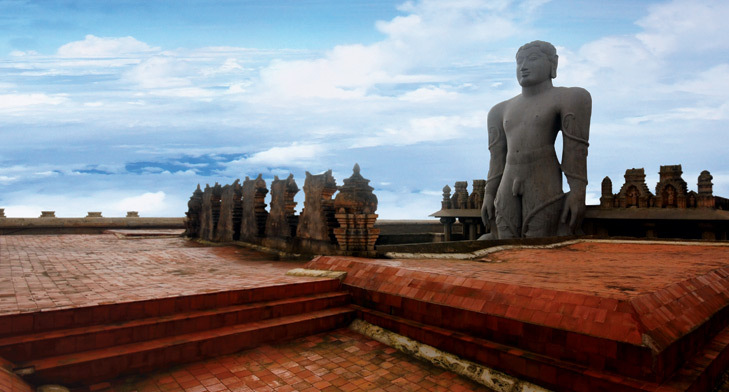 The 52-foot statue of Bahubali from its high perch has a gaze that takes in the lay of a rather scenic land - a treat you can partake, provided you make the arduous climb up. Karnataka&apos;s Golden Triangle is a pilgrimage of every sort. In this day and age of TV evangelists and revival movements, to see human devotion manifested by such immeasurable beauty and sheer workmanship that has survived centuries, makes the journey from Belur to Halebeedu and to Shravanabelagola a litany of a different sort. Prayer might be the last thing on your mind as you marvel at the intricacy of the carvings at the Chennakesava Temple or while you absentmindedly accept the prasad at the Hoysalaeshwara Temple, and it would take a really devout pilgrim to focus on god while panting and wheezing up the 600-odd step climb to Shravanabelagola - but nevertheless, you are following the path a pilgrim set towards God. If not anything else, it awakens you to the God in you and opens your mind to the extent of human creation. Tens of thousands carvings representing action-packed sequences from the Hindu myths chipped from black soapstone cover the length and breadth of the Chennakesava Temple. As you go from one magical carving to the next, along the temple&apos;s star shaped platform in almost-reverent wonder, you are unwittingly tracing the path of the pradakshana like the devout Hoysalas once did. The same applies to the Hoyasaleshwara Temple at Haleebedu - the erstwhile capital of the Hoysalas - that again is made out of black soapstone, but with bigger and more intricate sculptures. Your heart breaks with your guides, when he tells you about the fall of Haleebedu - back then known as Dwarasamudra - at the hands of Alauddin Kiljis and Muhammad Tughlaks armies, like it was just yesterday. While one side of this journey is about the fall of a kingdom, the other is about a prince renouncing his kingdom for a different kind. 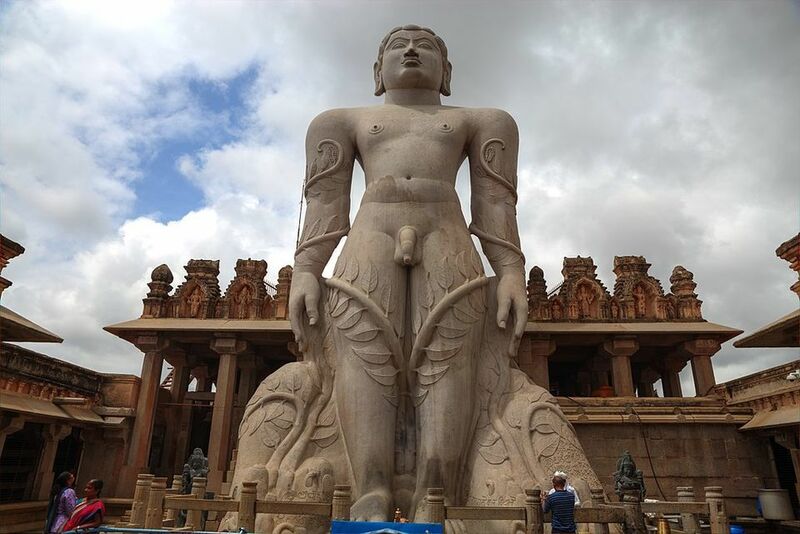 Shravanabelagola is a tribute to Bahubali&apos;s journey to becoming Gometeshwara - and, with its steep climb, is in every way symbolic of the restraint required of the Jain faith. 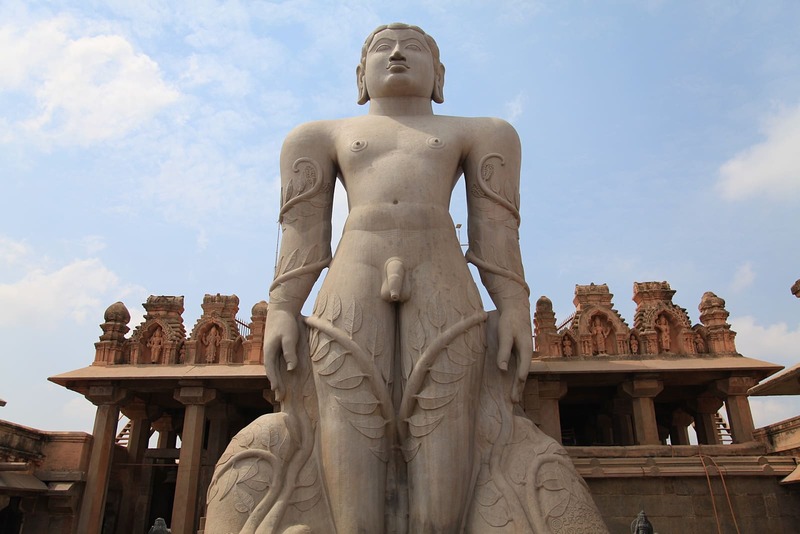 All of 1000 years, Gometeshwara stands at 52-ft - easily one of the largest monoliths in the world, while everything under his gaze marks vital milestones in the history of Jainism. The climb up the Indragiri isnt easy, and yet at Shravanabelagola you push both your spirit and your body like a regular pilgrim in pursuit of absolution. And at the end of it, you find you&apos;ve gotten closer to yourself. If that isn&apos;t finding God, then what is?